We are excited to announce this new financing and to have the support from this experienced group of investors. Biorez, Inc. today announced the close of a $1.5 million investment, following promising results from animal testing of its novel implant for anterior cruciate ligament (ACL) reconstruction. The breakthrough approach makes use of a proprietary scaffold structure that the patient’s own cells can use to regrow a new ligament, before the implant is fully resorbed by the body. The Biorez scaffold eliminates the need to harvest a patient’s tendon for a typical ACL reconstruction. The investment round was led by Connecticut Innovations, with participation from LaunchCapital, The Vertical Group, and New York Angels. "We are excited to announce this new financing and to have the support from this experienced group of investors,” said Kevin Rocco, CEO of Biorez. 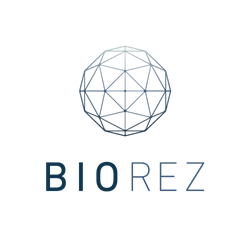 "The successful financing round comes on the heels of continued good news for Biorez, having recently won third prize in the RESI (Redefining Early Stage Investments) San Francisco 2018 investment competition." Biorez will share detailed results of recent preclinical tests in private meetings with key partners, surgeons, and researchers during the American Association of Orthopedic Surgeons (AAOS) meeting in New Orleans, March 6 through March 10, 2018. Biorez, Inc. is a privately held early-stage regenerative medicine company engaged in developing bioresorbable scaffold implants to regenerate functional tissue in vivo. Current R&D is focused on a bioresorbable polymer scaffold for ACL reconstruction that spares harvesting of patient donor-tissue (autograft) and provides a more attractive alternative to cadaver (allograft) and xenograft (animal) options. The company plans to commercialize its novel ACL technology and expand its platform to develop new and innovative clinical solutions. To learn more, please visit http://www.biorez.com.